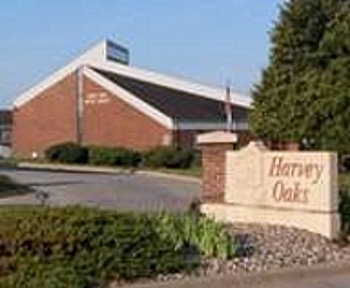 Harvey Oaks Baptist Church | Pray for Revival! May revival sweep across America as millions of Christians gather on this Lord’s Day for worship and fellowship. Even now, hours before the church doors open, summon your people to pray for their church and for revival! In Jesus’ Holy and Precious Name! …for this day. Though it was very busy, and at times uncertain, your presence gave me peace and joy. Lord, I look forward in worshiping you tomorrow on the Lord’s Day with my brothers and sisters in Christ! In Jesus Precious and Holy Name, Amen! The Equipping Verse for the month of May is Colossians 4:2. It is a verse that focuses on prayer: Continue steadfastly in prayer, being watchful in it with thanksgiving. It is easy to read this verse and apply it to our personal prayer life, and that is okay. Yet, we need to take in mind is that the letter to the Colossians was written to the church in the city of Colossae by the Apostle Paul. Thus, Colossians 4:2 is a call for the local church to pray together. The local church is to continue steadfastly in prayer… The Greek word that is translated continue steadfastly is in the plural and in the imperative mood. Therefore, this is a command from God for the church to pray together. The word can be translated, “busy oneself with, be busily engaged, be devoted to…” Christians then are to be devoted to corporate prayer within the local church. Praying together is essential for the local church. The same Greek word in Colossians 4:2 was used elsewhere in the New Testament in regards to prayer. Acts 1:14 says, All these in one accord were devoting themselves to prayer… Also, Acts 2:42, And they devoted themselves to the apostles’ teaching and the fellowship, to the breaking of bread and the prayers. “Sunday Night Storm” that meets at 6:00 PM on Sundays. The women’s Bible study that meets on Tuesdays at 10:00 AM. The men’s Bible study that meets on Tuesdays at noon. The weekly Bible study and prayer that meets on Wednesdays at 7:00 PM. The men’s Bible study that meets on Thursday mornings at 6:30 AM. The monthly elder’s meeting. The first part of the meeting is always spent in prayer and anyone is welcome to come and pray. If we call upon the Lord, He has promised in His Word to answer, to bring the unsaved to Himself, to pour out His Spirit among us. If we don’t call upon the Lord, He has promised nothing—nothing at all. It’s as simple as that. No matter what I preach or what we claim to believe in our heads, the future will depend our times of prayer. This is the engine that will drive the church. May the spiritual engine at HOBC become larger and more powerful! I Still Have My Marble! I still have my marble! And I continue to keep it my pocket! Terry Caffey spoke at Harvey Oaks Baptist Church on February 17th. During his sermon, he told the story of the marble he kept on him to remind to pray for his daughter, who is still in prison. At the end of his sermon, Terry Caffey gave an invitation for anyone with a specific prayer request to come forward and take a marble out of a bowl. That marble then was a reminder to pray. Dozens of people came forward to take a marble or two out of the bowl. I also took a marble and it has been in my pocket ever since. Each time I reach into my pocket and feel that marble, I immediately begin to pray. Prayer is to be like breathing. The Word of God is very clear that consistent prayer is to mark every follower of Jesus. If it takes a marble to remind us to pray, so be it! What is important is that we actually prayer as often as we can and to pray about everything so that we can experience the joy and the peace of the Lord! …do not be anxious about anything, but in everything by prayer and supplication thanksgiving let your request be made known to God. And the peace of God, which surpasses all understanding, will guard hearts and minds in Christ Jesus.